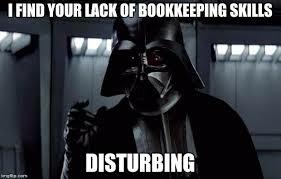 Welcome to the Bookkeeping Memes page, full of the best accounting and income tax funnies I have come across online. These will likely be appreciated the most by all the bookkeepers, accountants and income tax preparation experts out there than any other profession. However, they should be funny and enjoyable for all. 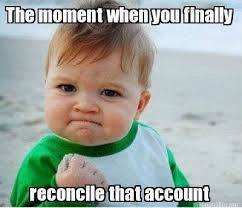 The moment when you finally reconcile that account is the best moment ever! 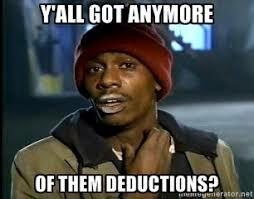 Hey, do you all have anymore of those deductions? 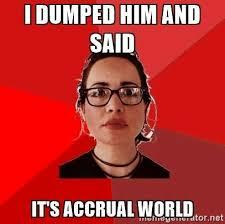 For all the ex boyfriends of the world: I dumped him and said, "It's accrual world"
Ever felt completely overwhelmed by the number of sticky notes you have all over your client files, desk, note pads and computer screens? 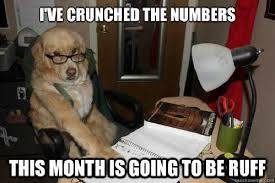 Puppy humor: I've crunched the numbers and this month is going to be ruff. 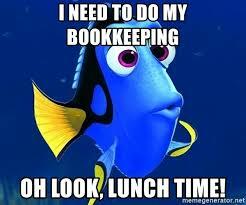 To all the procrastinators out there: I need to do my bookkeeping.. Oh look, it's lunch time! 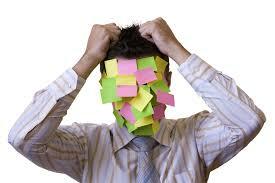 To all who love bookkeeping and accounting: I love accounting. 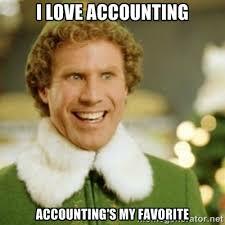 Accounting's my favorite! 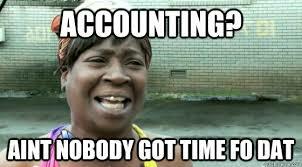 To all who dislike bookkeeping and accounting: Accounting? Ain't nobody got time for that. 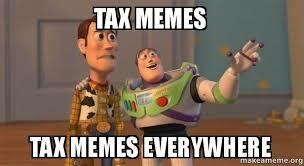 All I see are: Tax memes, tax memes everywhere.. 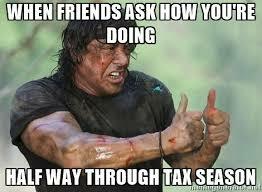 Fellow Tax Preparers.. you know what I'm talking about: When friends ask how you're doing half way through tax season. 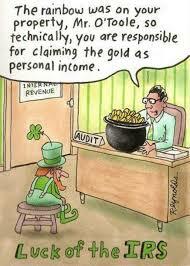 I hope that you will enjoy the accounting jokes and bookkeeping funnies page as well. Sometimes we just need a little giggle to brighten our mood and get rid of our stresses! 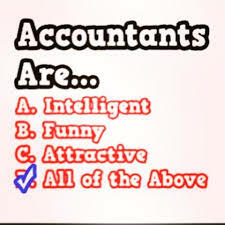 There is also a form at the bottom of the page where you can submit your own bookkeeping and accounting jokes for the rest of us to enjoy. Your contributions are appreciated. My accountant told me that the only reason why my business is looking up is that it's flat on it's back. There are three types of accountants. Those who can count and those who can't.